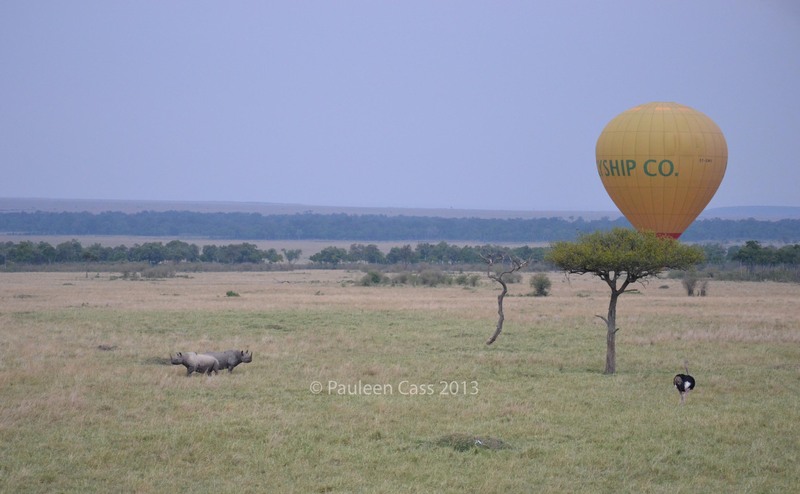 Following on from last week’s post of our balloon flight in Kenya, here were just some of the animals we saw. Drifting peacefully. 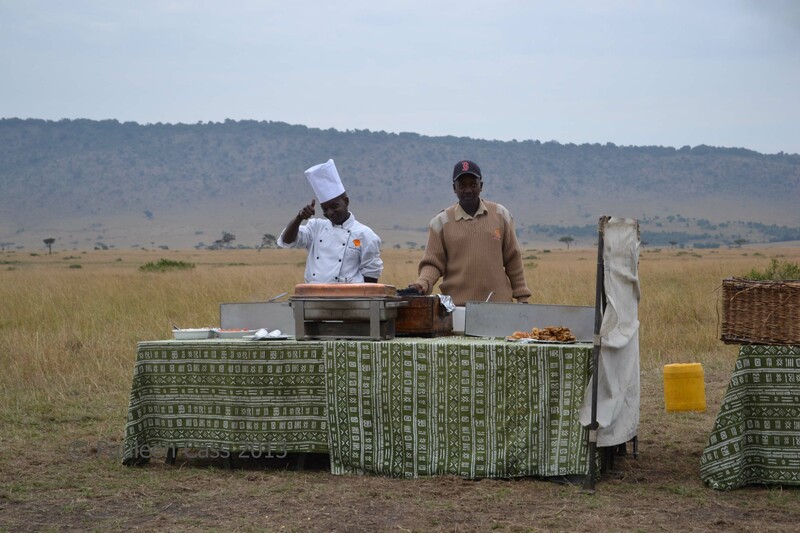 That’s our breakfast being set up under the tree. 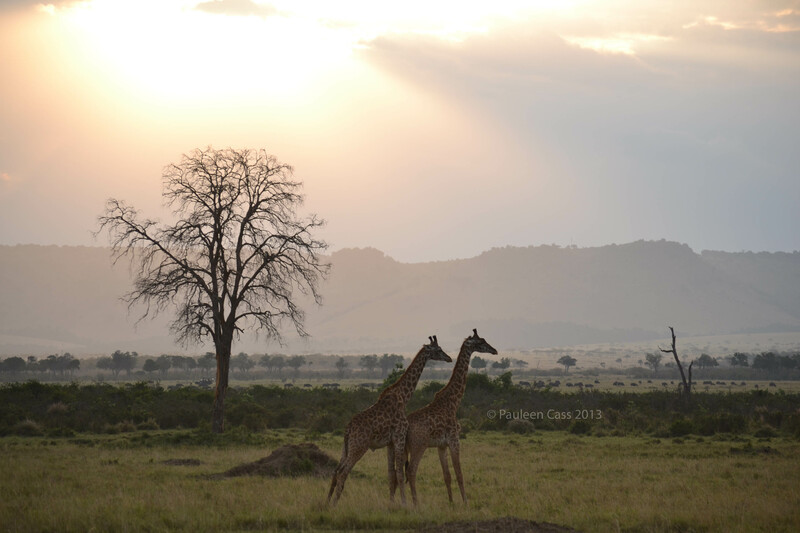 No great “Out of Africa” moments with herds of creatures below us, rather a defensive elephant mother, a pair of rhino and a startled young giraffe. 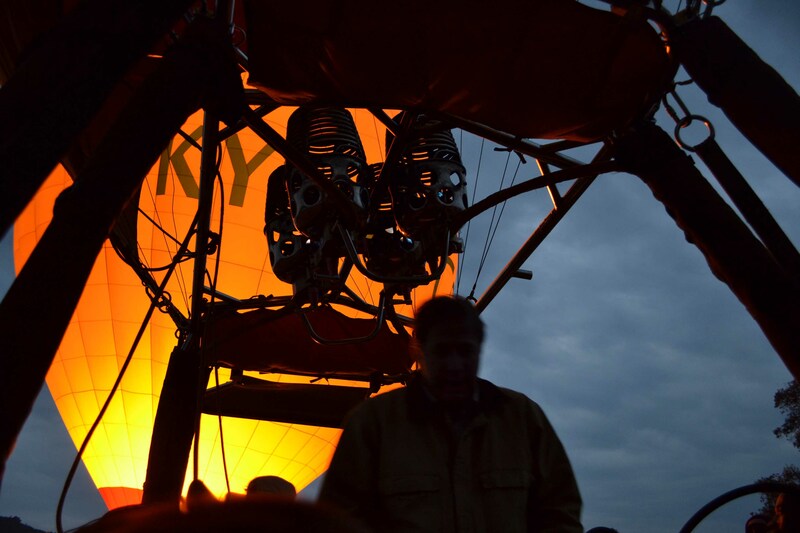 The great thing about two balloons being in flight is that you can get one in your photos. 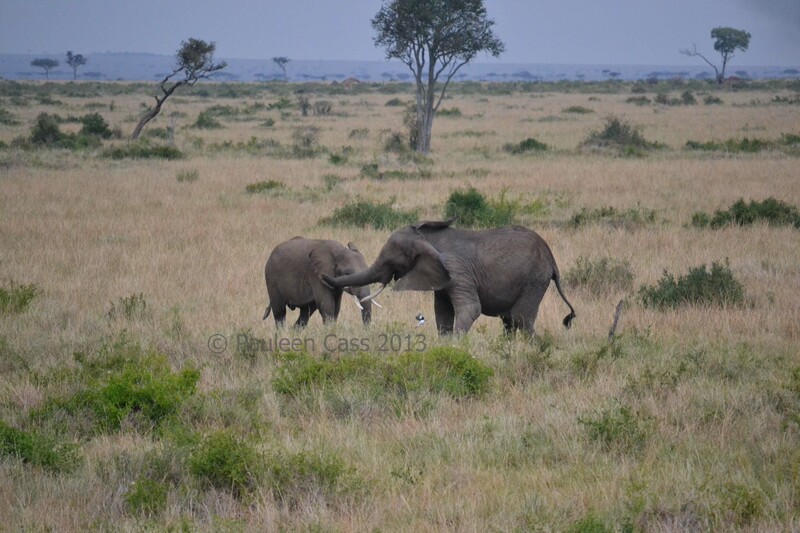 The two rhino had gone into defensive mode while the ostrich appeared indifferent. 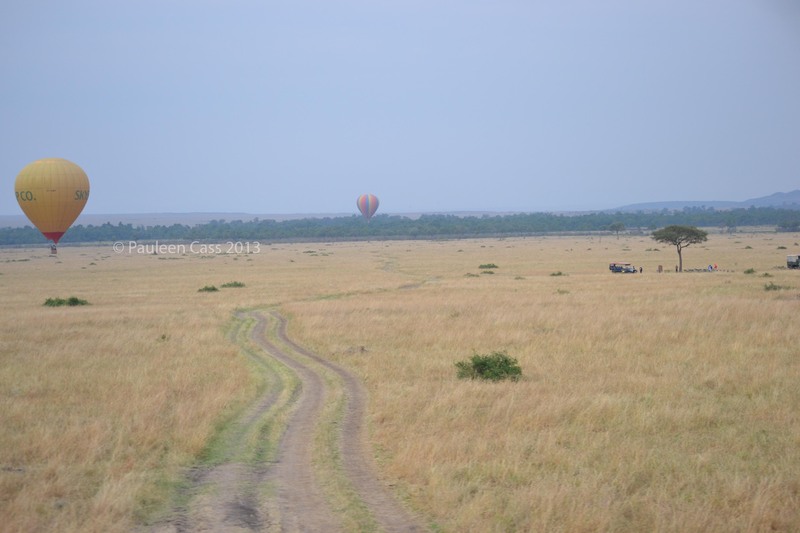 The rhino weren’t a common sighting in the Mara but our guide could identify where they’d been in the photo, and with some assiduous searching we were able to find them the next day. Believe it or not, one of them was only a baby. 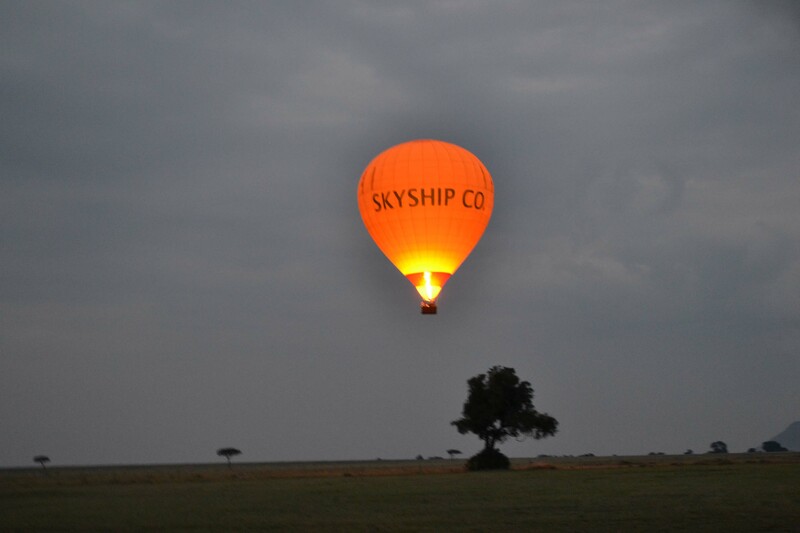 And after all that we got an exciting (read bumpy) and hilarious landing and a fabulous breakfast in the bush with eggs ordered as desired from the chef. We had great chats with the other people round the table over breakfast. 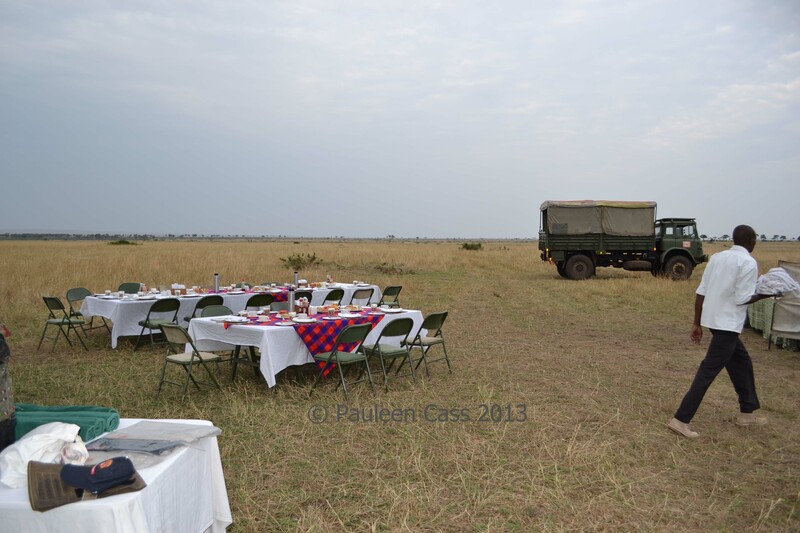 It was a tough life on safari. 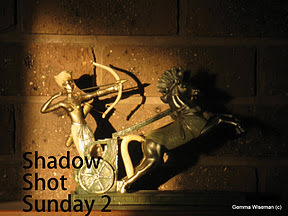 It’s Shadow Shot Sunday so why not pop over and see what others have written and photographed. 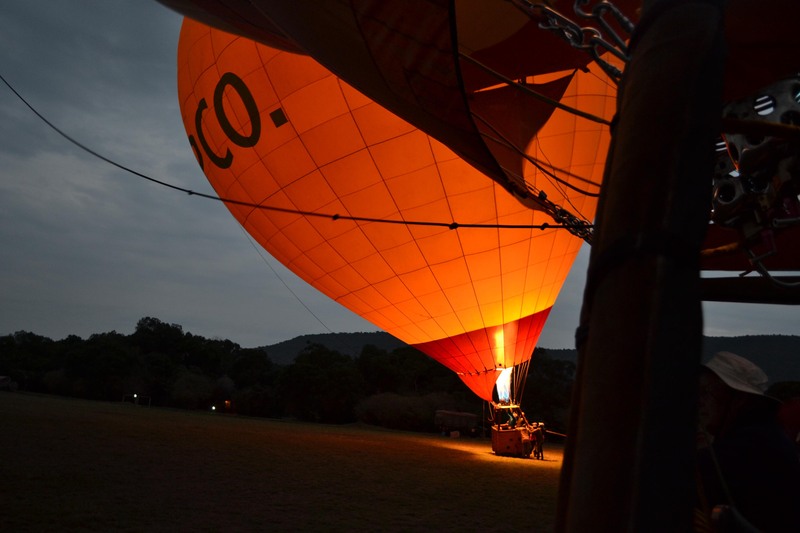 While we were in Kenya we woke up one early to do a hot air balloon flight – another first for me. I don’t like heights, or more specifically edges, so I wasn’t sure how I’d go but I loved it!! Of course we were floating so low we could almost have jumped out, except for those voracious and carnivorous critters. Blurry trees in the pre-dawn morning light. You can see how low you can go. 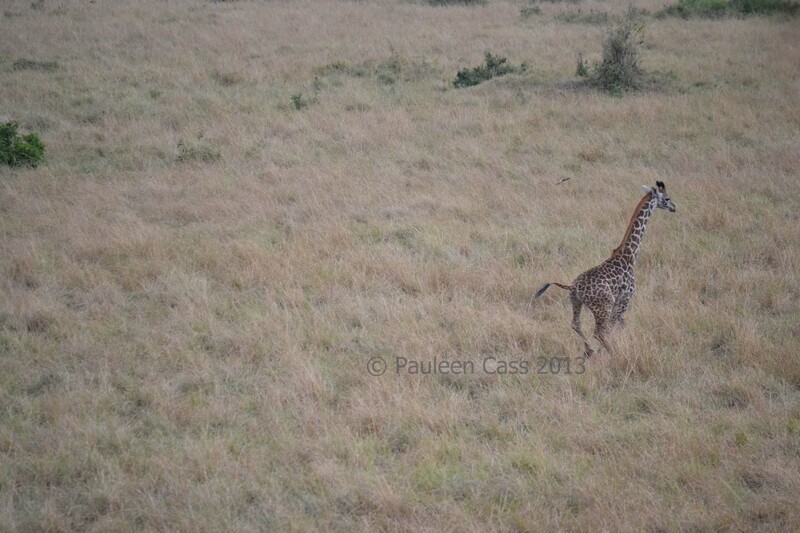 How could I resist adding a giraffe photo or two today? My friends on Facebook are all having a go at a riddle, which if you get wrong, you have to change your FB profile to that of a giraffe to three days. 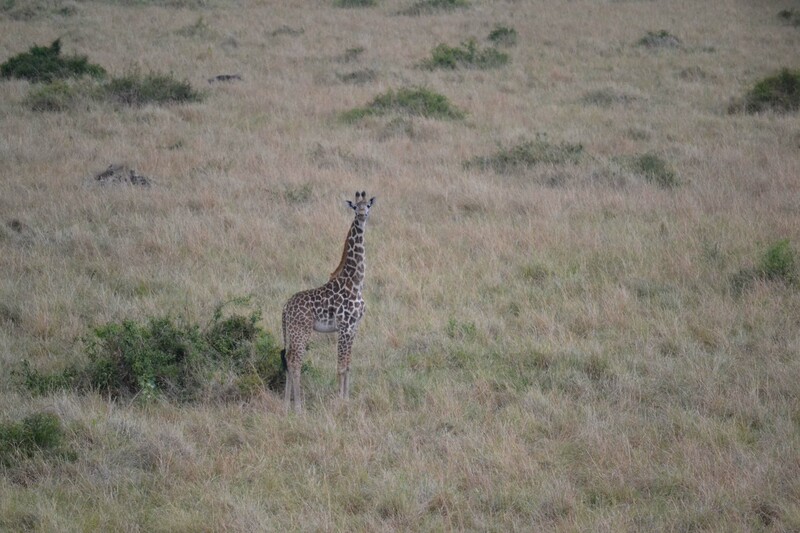 Now I don’t see an issue with that, given giraffes are pretty handsome creatures! 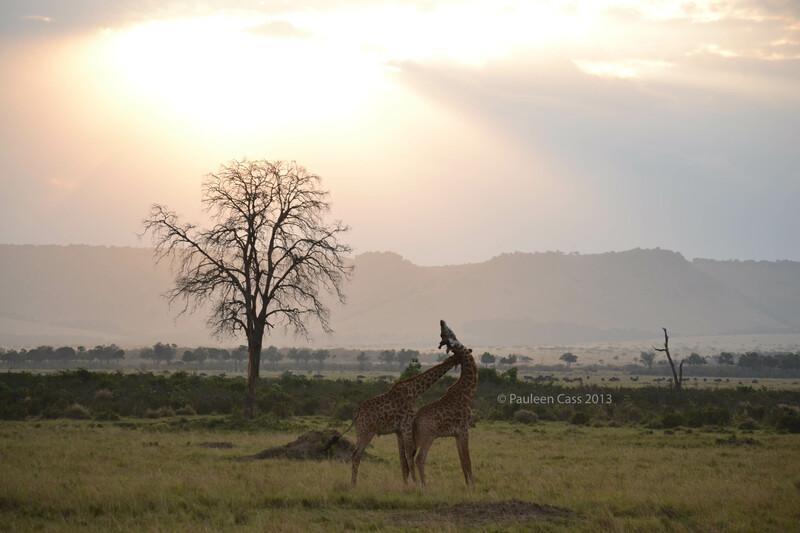 So going along with the theme, here is today’s post: not my favourite photo of giraffes on our recent trip, but an appropriate end-of-day photo. These two guys were snapped as the sun set over the hills. They may look like they’re feeling rather amorous but in fact they’d been engaging in a protracted bout of necking. Unlike the 1960s human version, this is actually a way of ascertaining dominance of one male over another. Our guide said these fellows were not very old (teenagers maybe?) and were really practicing rather than taking it seriously. In a serious bout, which this had looked to me, there’s a lot of bashing of necks going on. If the fight was severe enough it would be entirely possible to break the other guy’s neck. So, an initially serene scene with a hidden tension.